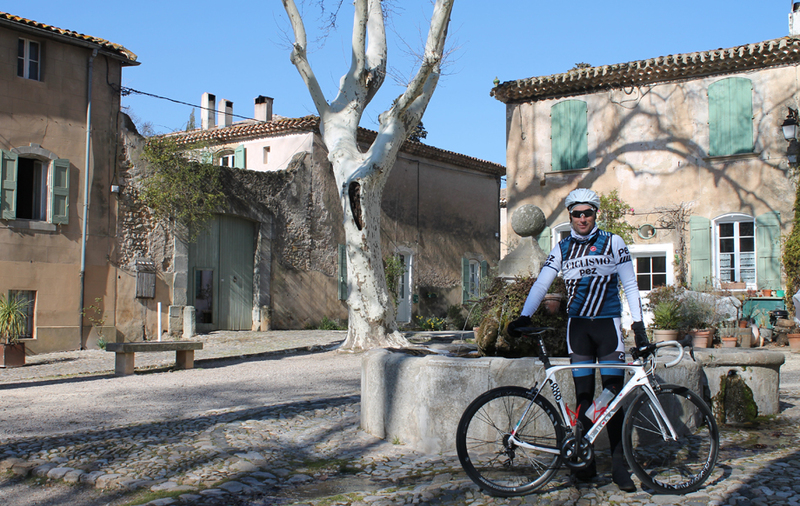 With more than 25 years of racing experience around the world under his belt it's fair to say that our man in France, Chris Selden has ridden up a lot of climbs in his life. 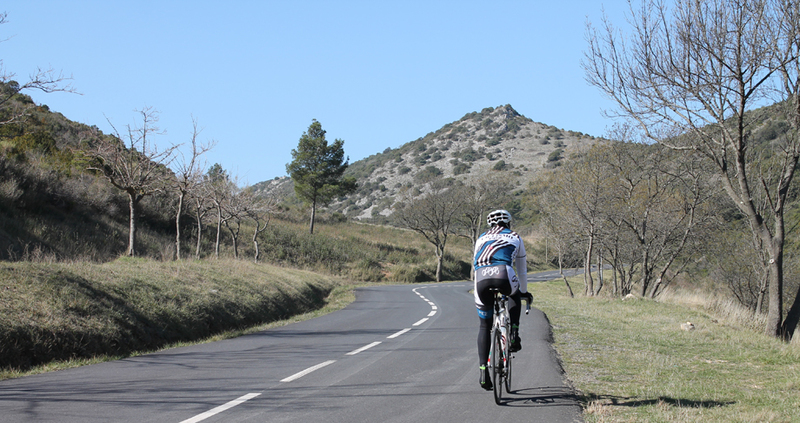 His choice of a favorite climb amongst the thousands that he's done though is a bit of a surprise, the Col de la Rouquette in the Hérault Valley in France. Love them or hate them nothing beats the feeling of climbing (and then descending of course!) a good hill or a mountain. The burning lungs, the screaming legs but then the satisfaction and sense of achievement when you crest the summit is something that only true cyclists can appreciate. So while friends and family think I'm mad when I mount my bike and set off to climb the nearest mountain, my cycling friends simply nod and understand before asking me about the climb. Where is it? How steep? What's the roadsurface like? The descent? So it's with these questions in mind that I thought I would create a new segment here on Pez like I did with Readers' Rigs six years ago, 'My Favorite Climb'. Read on to check out my favorite climb and then maybe drop me a line with details on yours? 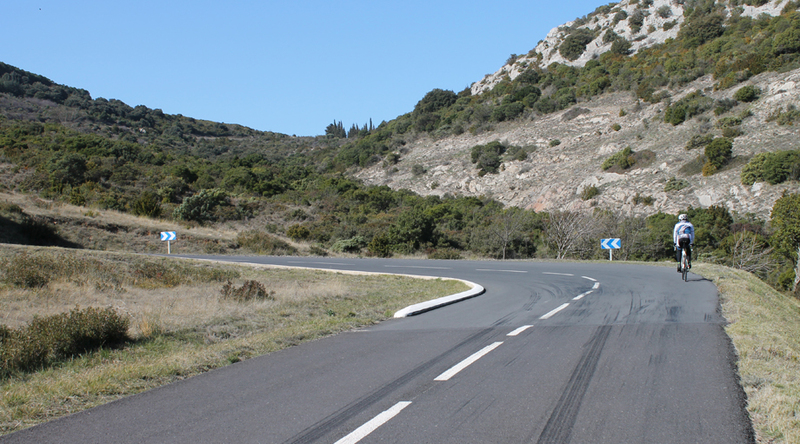 The Col de la Rouquette is in the South of France in the department of the Hérault about 10km away from the large town of Clermont l'Hérault and just 20km west of my village of Saint André de Sangonis. What are the stats on this climb? How many different directions can you attack it from? Well the stats aren't that impressive to be honest with the climb from my favorite side leaving the village of Cabrieres being just 3.7km long at a 4% average gradient and going to a 270m altitude. There are also two more sides that you can attack it from - Neffies (3km @ 4%) or Vailhan (6km @ 3%). Why do you like this climb so much? That's the million dollar question really and I'm not really sure of the answer! I'm lucky enough to live in an area that has a huge range of climbs from Category 4 'bumps' like this one to Category 1 very difficult challenges and most of the time I like them all. There's something about climbing that just appeals to me - even when I'm not in form. 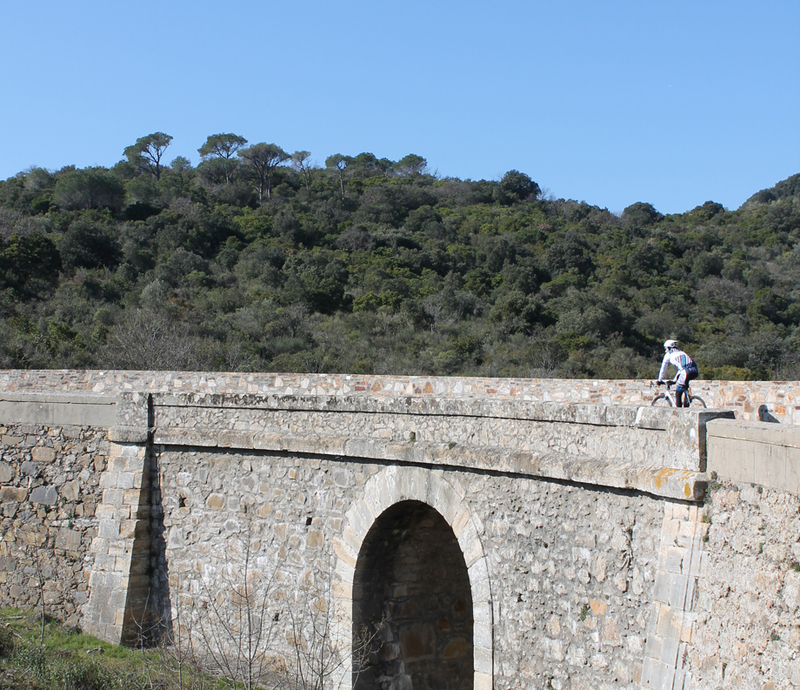 It's the challenge of cyclist vs gravity, the sense of accomplishment when you've made it to the top - the fun of the descents or just pushing myself to the max. I could of chosen any of the more than 30 categorized climbs in a 30km radius of my place but for some reason I keep coming back to the Col de la Rouquette. I don't think I've ever not enjoyed a ride when I've been up there. 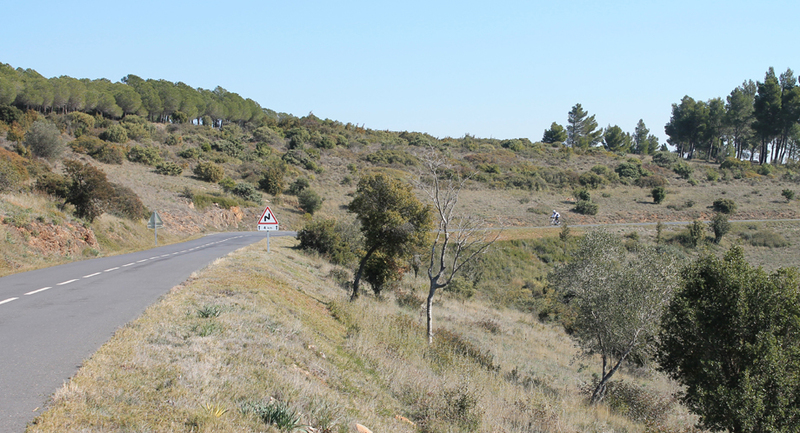 It has a smooth road, a fun descent, little traffic, a gradient that is easy enough to go easy up if you like or difficult enough if you want to really push it hard with a few mates. What's the best part and/or the hardest part of the climb? The best part for me is the first mile or so. There's a couple of switchbacks that get you in the mood straightaway and the smooth road, nice scenery and fairly gentle gradient make climbing seem pretty easy. I normally hit this first part pretty hard with my club mates before cracking completely at the top which is actually pretty difficult as there is no real 'summit'. 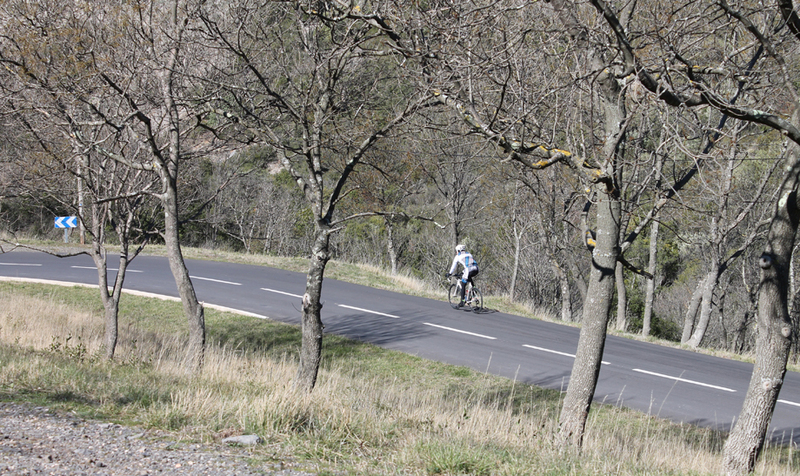 When the climbing is finished there is no sign announcing the top like on most climbs in France, instead there is just a 1.5km plateau before the descent of the otherside starts. .... and the so called 'summit'. No sign, just a view over the valley and vineyards. 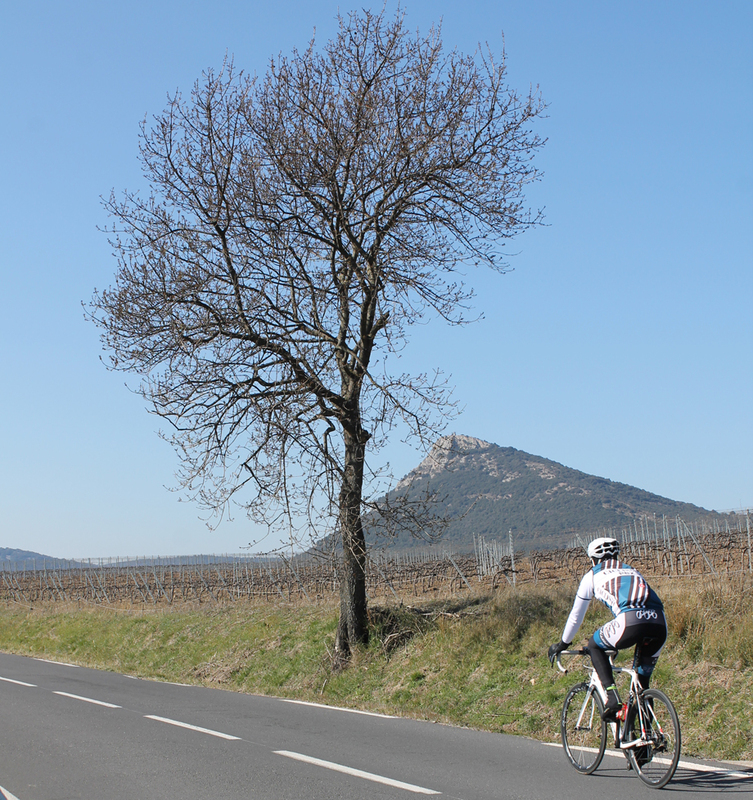 What else is there to do and see around the climb? 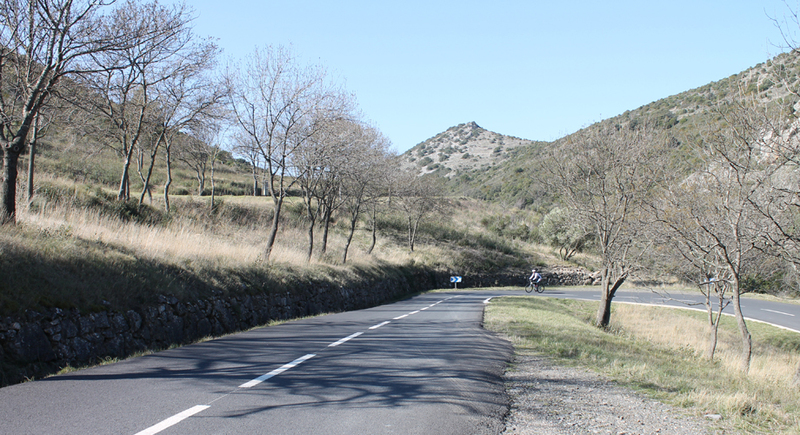 With the climb being just 20km from my house I normally use the Col de la Rouquette not as a destination for me but more of a great way of starting a ride and exploring other places. 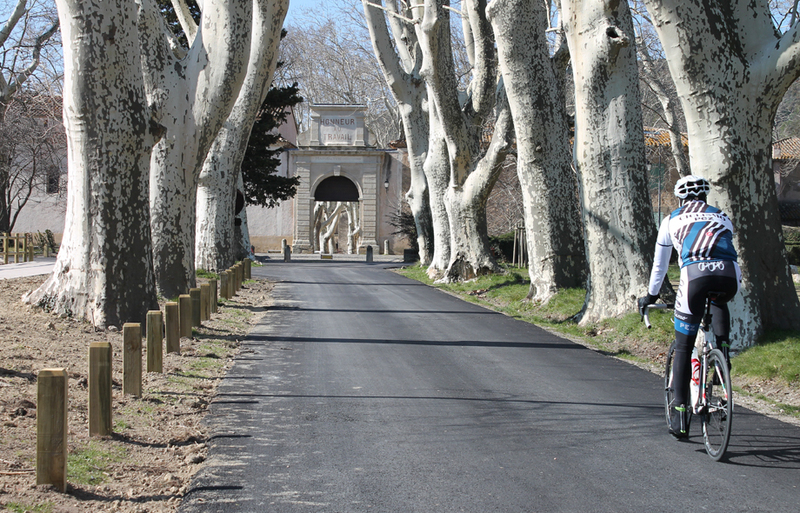 I have a holiday rental house for cyclists in my village of Saint André de Sangonis (www.hiddenhouse34.com) and everytime I send clients out to the Rouquette I normally tell them to stop in to Villeneuvette on the way. It's a very small ancient village that was once where all the porcelain products for the royal family were made and it's a nice, picturesque start to the ride. After that there are so many places to explore I couldn't list them all here but highlights near the Rouquette would have to be the Lac du Salagou, the amazing rock formations at Moureze and any number of ancient villages, churches, chateaux and more in the region. If you want to check out some more places in the region head on over to my instagram page where I try and post pictures regularly. Are there any other climbs that you almost chose as your favorite? Difficult to choose a favorite in the Alps though but if I did it wouldn't be any of the famous ones like Alpe du Huez or Mont Ventoux - I prefer the lesser known climbs on tiny backroads where you can suffer in absolute silence with zero traffic. 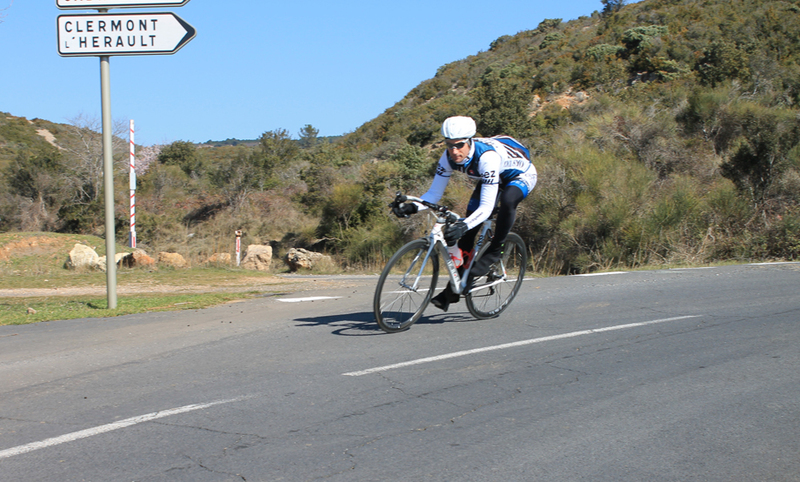 It's for that reason that I almost chose the Montée des Lavagnes for this article which is another climb in my backyard in the Hérault again that is a lot more difficult than its 6.2km @ 6% suggest. 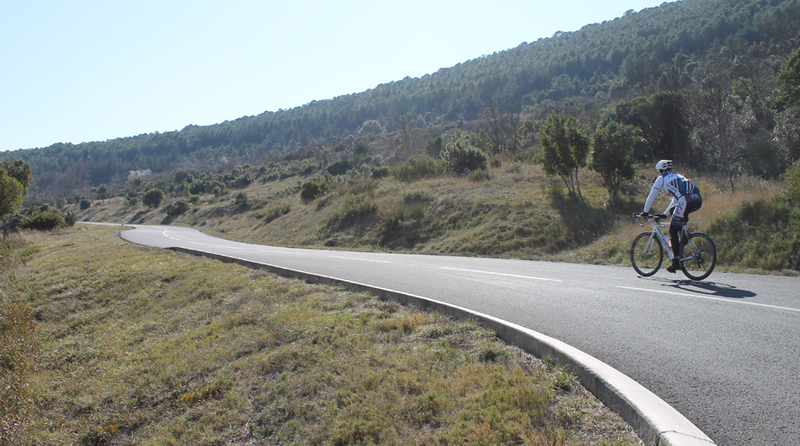 I normally climb that one as part of a 70km circuit that I try to do as often as possible because I just love the circuit that includes seemingly abandoned roads where it is very rare to see even one car. Scenery, challenging terrain and all to yourself. Perfect. Any last words about the climb? Sure. Even after answering these questions I still can't put an exact reason on why I like it so much! 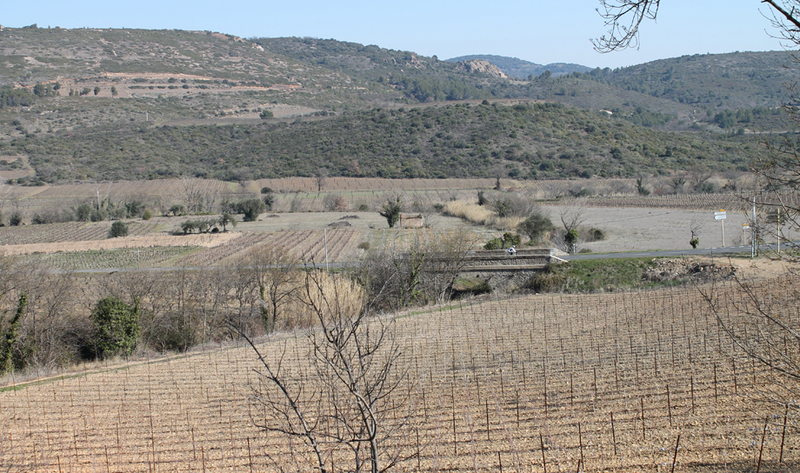 The side from Cabrieres is certainly the most scenic and defintely my favorite side but I've probably had better performances up the much less scenic side from Neffies. The village of Neffies is a pretty little village but the climb from that side lacks the switchbacks and scenery that you get from the 2 other sides. It's also one of those climbs that starts earlier than the 'real' start of the climb with a long false flat section that really takes it out of you if you're starting to get tired. If you're ever in the area definitely come and ride the Rouquette and the surrounding region - you won't regret it. 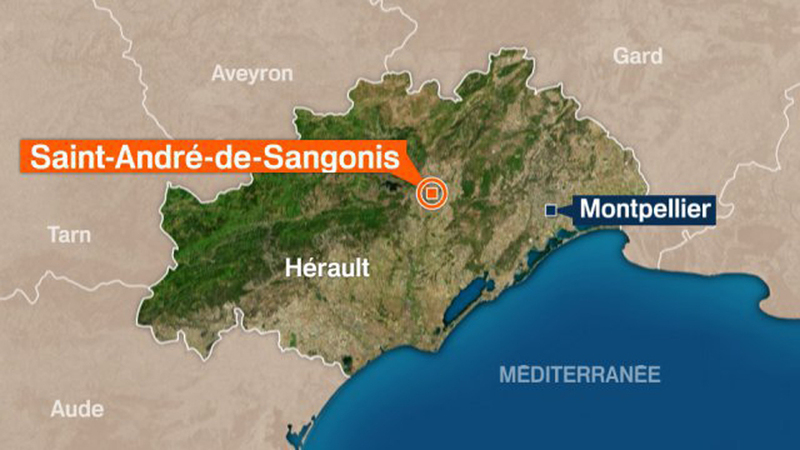 Everybody always talks about the Alps and the Pyrenees but for me it's the unknown regions like the Hérault, the Jura or the Massif Central where the real gems of France are. Halfway up the Cabrieres side there is this natural spring with beautiful drinking water. 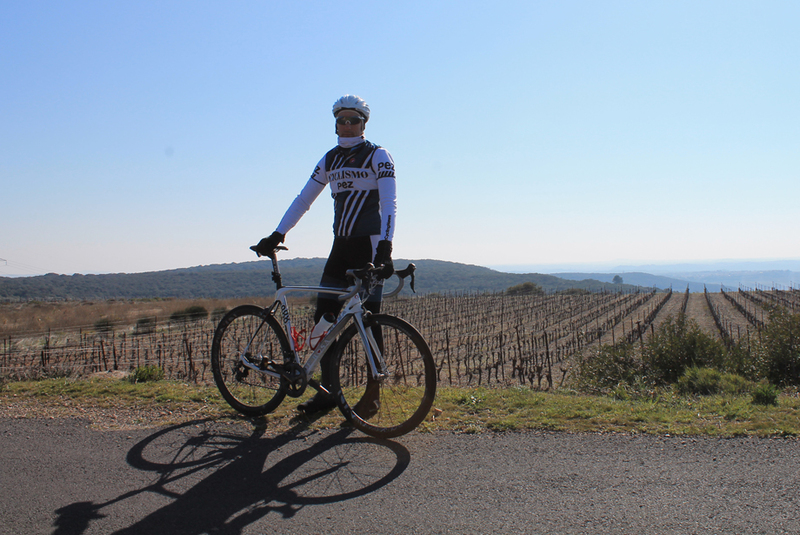 Perfect for those hot summer days but not really necessary on this cold but sunny February ride. Got a favorite climb of your own that you'd like to share? If so contact us via the Comment box below, or send a My Favorite Climb submission direct to [email protected] and you and your climb could be featured here on the pages of PEZ.